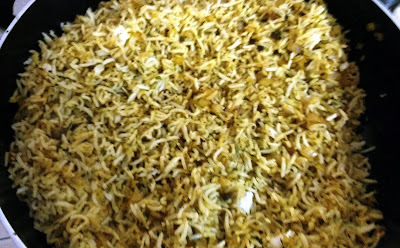 Here's a simple rice recipe that goes well with Thai curry or Chinese gravies. 1. 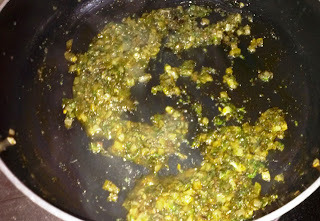 Grind the red chillies, garlic and coriander leaves to a coarse paste. 2. Heat the oil in a broad non-stick pan, add the prepared paste and onion and sauté on a medium flame for a few seconds. 3. Add the soya sauce, rice and salt, mix well and cook on a medium flame for 1 to 2 minutes, while stirring occasionally.